I’ve been a fan of Don Coscarelli’s work since the first time I saw Phantasm in 1979. Made when he was just 24, that film followed two “family” features – Jim, The World’s Greatest (1976, co-directed with Craig Mitchell), about a boy dealing with his alcoholic father; and Kenny & Company (1976), about a week in the life of an average kid leading up to Halloween. 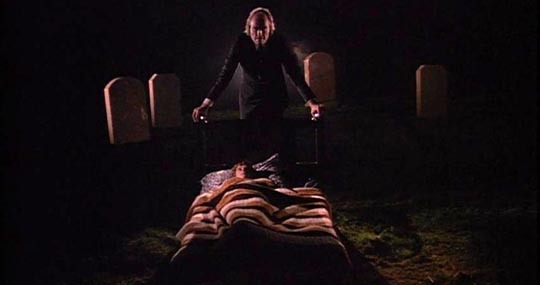 Phantasm also takes a kid’s-eye-view, but Coscarelli (who once again wrote the script) left the real world behind and entered a very effectively rendered nightmare. 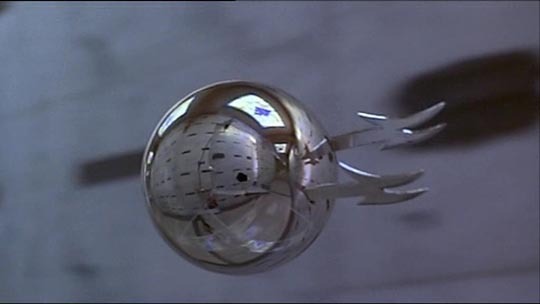 Everyone remembers the flying, brain-sucking silver sphere of Phantasm, but what impressed me even more was the sheer audacious craziness of the central concept. Adolescent Mike (Michael Baldwin) is dealing with the trauma of his parents’ death when he, his older brother Jody (Bill Thornbury) and ice-cream vendor Reggie (Reggie Bannister) become suspicious of the goings-on at the local funeral home run by the Tall Man (Angus Scrimm, who’s been in most of Coscarelli’s films). What they discover is a portal to another dimension and a scheme which sees the local dead compressed into dwarfs and shipped off to be slaves on a high-gravity desert planet. The absurdity of this idea is what gives the movie its dream-like tone, and Coscarelli plays it straight – he simply accepts the idea and trusts that an audience will go along with him to see where it leads. In the three sequels which followed, a rocky and uneven series, it leads to an apocalyptic narrative in which Mike (James LeGros in number 2, Baldwin again in numbers 3 and 4), Jody and Reggie are taken on an epic quest across the continent as the Tall Man devastates towns and leaves ruin in his wake. The Phantasm series is rare in that the same filmmaker has written and directed all the films. Coscarelli, on the strength of Phantasm‘s success, was given almost thirty times the budget for his next film, The Beastmaster (1982). Made the same year as John Milius’ Conan the Barbarian and Albert Pyun’s The Sword and the Sorcerer, The Beastmaster (according to IMDb an uncredited adaptation of an Andre Norton novel), remains one of the best sword-and-sorcery fantasies ever filmed … though it didn’t get much respect when it was released. Once again, Coscarelli invested what he was doing with complete conviction, achieving an imaginative epic on less than half the budget of Milius’ ponderous and pretentious Conan. You get the feeling that Coscarelli completely believes in his material, an attitude which may be perceived as naivety, but is also a gift to the viewer who is tired of irony or the suspicion that a filmmaker feels superior to the material he’s working with. 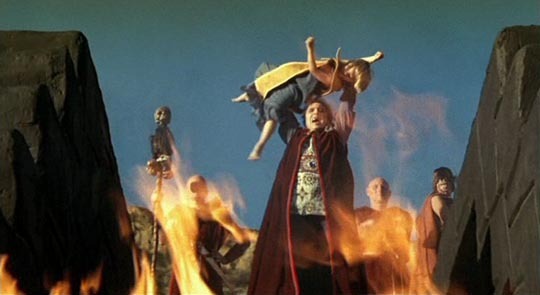 Despite a few weaknesses (Marc Singer is perhaps not the ideal action star), The Beastmaster is full of impressive visuals and rewarding design details (richly shot by the great John Alcott), and for a B-movie fan Tanya Roberts as the heroine Kiri and Rip Torn as the villainous high priest Maax couldn’t be better. Like Phantasm, it has gone on to grow a cult following and, in the following two decades, spawned two disposable sequels and a TV series (none of which Coscarelli was involved with). I recall a conversation I had with Raffaella Di Laurentiis when I was working on Dune in 1983. She was planning to shoot the sequel to Conan at Churubusco Studios after Lynch’s film wrapped, but hadn’t yet settled on a director. I asked if she’d considered Don Coscarelli. “The guy who did Beastmaster?” she asked. I said yes. She said he had been considered, but then she saw his movie … her expression said it all. And she gave me one of “those looks” when I said I liked the movie. Then she went on to hire Richard Fleischer for the job. Now, Fleischer had considerable skills as a director, but by no means could he be said to have a sense of the fantastic. He ended up doing a workmanlike job on Conan the Destroyer (1984), but it totally lacks the imagination of The Beastmaster. That little incident, I think, says all that needs to be said about why Coscarelli has made so few films (only ten features in 36 years) and why none of them have been done within the mainstream industry. 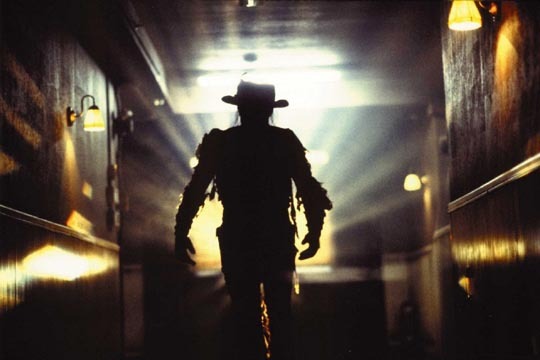 When he came out with Bubba Ho-Tep in 2002 (adapted by Coscarelli from a Joe R. Lansdale story), again before the cult began to form around that wonderful horror-comedy, there were quite a few negative reviews, many of them complaining that it was “weird” but “just didn’t work”. But of course it works really well when you realize that Coscarelli once again approached a crazy idea with complete sincerity. He doesn’t mock the material (an aging Elvis and a black JFK ending their days in a small town old folks home which has become the hunting ground for a life-sucking Egyptian revenant) and that means that he expects his audience to take it seriously too – that is, to accept the premise as given and respond to the authenticity of the characters and their emotions within that context. Approached with that kind of openness, Bubba Ho-Tep is engagingly funny, atmospheric, and ultimately genuinely moving. Ten years have passed since Bubba Ho-Tep, and Don Coscarelli has finally come out with another movie. John Dies At the End is based on a novel by David Wong (again adapted by Coscarelli himself) and it’s another wildly imaginative mix of absurd, gross, funny, and at times even moving ideas. Already there are a lot of complaints on-line from fans of the book about the adaptation; I can’t speak to that as I haven’t read the novel. My reaction is to the movie as an entity unto itself, and having watched it twice in quick succession, I can say that not only is it terrifically entertaining … it’s Coscarelli’s most polished piece of work on a craft level, and the most assured blend yet of narrative material and his attitude towards the fantastic. At first glance, John Dies At the End appears to be a chaotic, non-linear collage of skits and blackouts. But the smooth flow of the movie indicates that Coscarelli is in control at all times and reveling in the anarchy. As an absurdist tale of world-threatening alien invasion, it reminds me of W.D. Richter’s sadly underrated The Adventures of Buckeroo Banzai Across the 8th Dimension, a film whose energetic mix of genres seemed to confuse a lot of viewers and critics. It looks as if John Dies At the End will suffer the same fate (it’s currently rated “rotten” at Rotten Tomatoes, though I was gratified to see that A.O. Scott at the New York Times gives it a perceptive near-rave review). 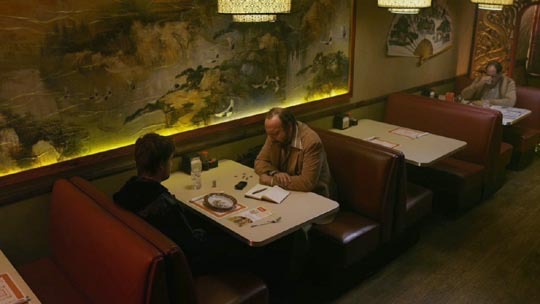 The narrative is this: David (Chase Williamson) meets a reporter named Arne Blondestone (Paul Giamatti) at a Chinese restaurant to tell his story of apparently supernatural events and alien invasion. This involves a seemingly sentient drug dubbed “soy sauce”, which cuts the user’s mind loose from the restrictions of space and time; thus the story jumps backwards and forwards in a free-flowing series of events which gradually reveal that an alien entity named Korrok from a parallel dimension is gathering the power to cross over to our world. 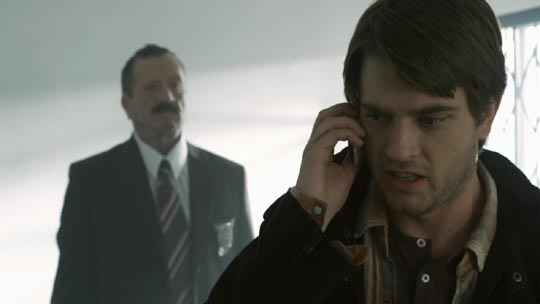 In effect, the drug has “chosen” David and his friend John (Rob Mayes) as the means to stop the threat. Once David has been affected by the drug, the movie has a rushing, hallucinatory forward motion as he desperately tries to orient himself to events and make sense of what’s happening. But while the narrative teeters on the edge of chaos, Coscarelli is cheerfully in control at every point. Once again, the director invests himself fully in the absurdity of the material and simply asks that the audience go along for the ride to see where it takes us. It’s funny, occasionally gross, with enthusiastically committed performances from an engaging cast. 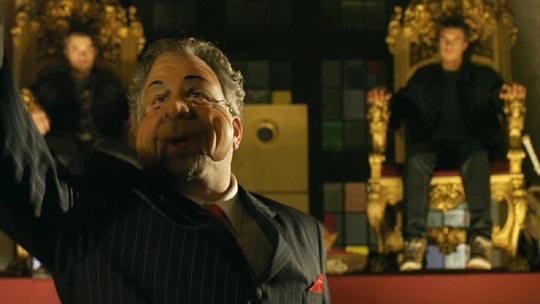 I think the reception of movies like John Dies At the End and Buckeroo Banzai indicates that there’s a tendency for a lot of viewers to mistake the depiction of absurdity and chaos for absurdly chaotic filmmaking. Personally, I find these movies exhilarating. They liberate the imagination from the straightjacket of expectations which an all-too-formulaic business too often imposes on viewers. In a recent interview in the Times, Coscarelli cites William Cameron Menzies’ Invaders From Mars (1953) as a key childhood influence. It’s an illuminating choice. Menzies’ film is also a child’s-eye-view of horror, about the combination of vulnerability and resilience kids possess in the face of barely comprehended threats to the security of their world. In fact, very much like Coscarelli’s own work. 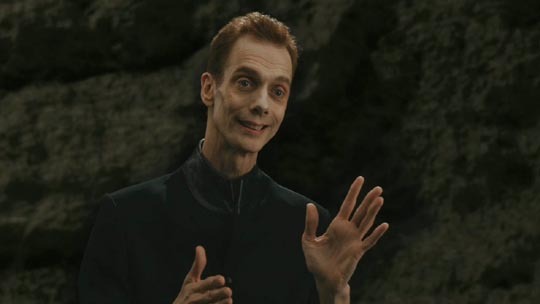 This entry was posted in Review and tagged Adaptation, Comedy, Directors, Horror, Science Fiction. Bookmark the permalink. It’s a travesty that Don wasn’t allowed to edit Beastmaster. Here’s hoping he will be allowed a Director’s Cut with remastered video and sound from the best available masters in the vault out on Blu Ray soon; I would buy it in an instant! That’s something I’d like to see, though given the nature of the business I’m not sure who’d fund such a project. While I wish more people appreciated Don’s films it is nice to know that those of us who do enjoy his films tend to love them! I think it’s because, working as independently as he does, his movies have a very distinct personality. It’s the people who appreciate that personality who love the movies, and people who just want familiar formulas who have a problem with them.